Become fluent in the fundamentals of mathematics through varied and frequent practice of calculations and increasingly complex problems designed to develop understanding and the ability to recall knowledge accurately. Reason mathematically and confidently using accurate mathematical language. Can solve problems by applying their mathematics to a variety of problems with increasing difficulty, giving children the opportunity to demonstrate their deeper understanding. 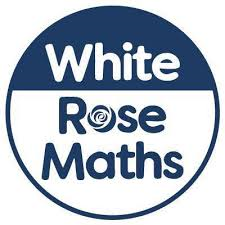 Lessons are planned following the White Rose Maths Hub. Each lesson encompasses elements of Fluency, Reasoning and Problem Solving and children are encouraged to complete challenges which are designed to deepen their understanding and allow them to apply their knowledge. Arithmetic skills are taught during lessons and children are tested on this every 2 weeks using the Rising Stars arithmetic tests. We subscribe to ‘TT Rockstars’, a website aimed at encouraging the instant recall of multiplication and division facts to 12 x 12. Children receive an individual log in and work to earn coins and points in a bid to come a ‘Rock Hero’. Children are also involved in battles against other pupils and classes to answer the most answers correctly and win points based on this. Weekly rewards are given to pupils who have improved their accuracy each week and for those children who apply this knowledge into their learning. 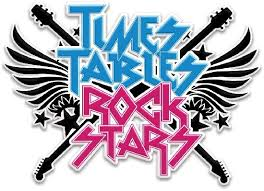 Since beginning our journey with TT Rockstars, children have answered over 350,000 questions accurately. We hope this will ensure that children are ready to access the new MTC (Multiplication Tables Check) being introduced in 2020.